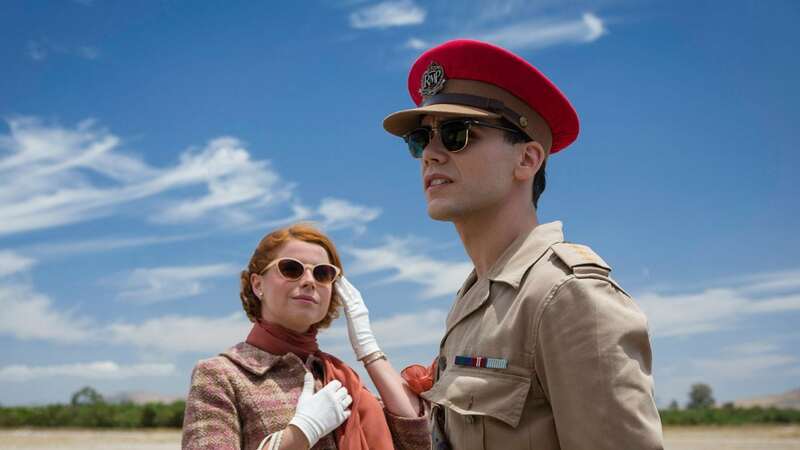 Military affairs in The Last Post - aka "Dynasty in the Desert"
Six-episode miniseries The Last Post (2017, only available on Showmax) follows the military – and personal – affairs of a group of British soldiers stationed in Aden in Yemen during the 1960s. It’s all stiff upper lips versus loose slips as bored base wives amuse themselves with the men in the compound. Well, it’s that or fight over what Mary did with the croquet hoops for the 20th time. Newcomers Military Police Captain Joe Martin (Jeremy Neumark Jones, playing a man with a nasty secret) and his wife Honor (Jessie Buckley) find themselves somewhat underprepared for this “Dynasty in the Desert”. 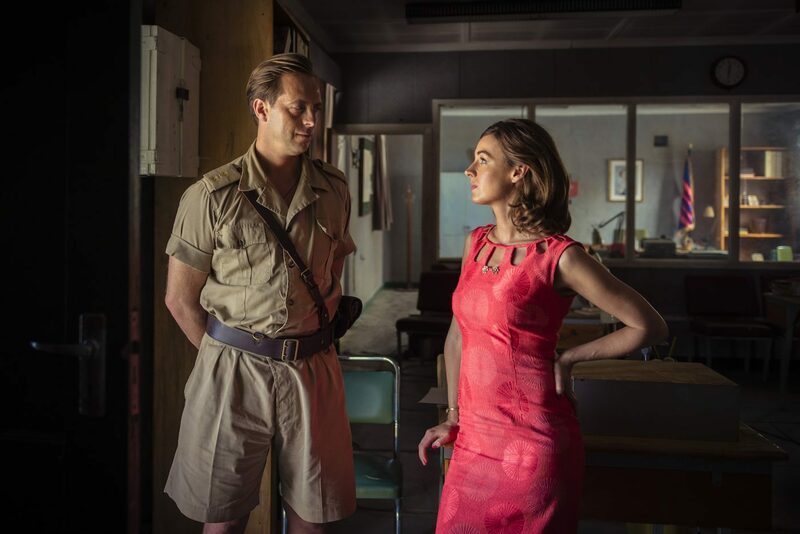 Alcoholic, suntanned, cigarette-smoking Alison (Jessica Raine) is a warning of what Honor’s life could become if she doesn’t find some way of amusing herself. “She is witty but she hums with dissatisfaction, and she’s on a path of self-destruction littered with downed gin and tonics. I imagine her stalking around her apartment, climbing the walls with boredom. She’s desperate to have fun but there’s not much of the type of fun she wants in the strict military environment,” explains Jessica. Whether she’s hanging her frilly undies up to dry in the sunshine, beating a scorpion to mush with her copy of Vogue magazine while wearing a negligee, or falling pregnant by her lover, Alison gets the men’s hearts racing like a grenade lobbed onto the patio. But Alison’s marriage provides some measure of hope. Not even the fact that he’s been passed over for promotion because of her shenanigans can shake Ed’s (Stephen Campbell Moore) faith in her. “Alison clearly has a reputation among Ed’s colleagues. But his utter support of her is one of the most touching and surprising things about their relationship. I love how they are both rule breakers. Together they are a very subversive couple,” says Jessica. Honor Martin (Jessie Buckley), Alison Laithwaite (Jessica Raine) and Mary Markham (Amanda Drew). Image by Coco van Oppens. They’re all rather shocking, these women, when you contrast them with Mrs Keep Calm And Carry On Herself, the base commander’s wife Mary Markham (Amanda Drew), whose behaviour was the standard for army wives at the time. American reporter Martha (Essie Davis) ruffles feathers from the moment that she arrives in episode 2, since she’s there to expose the British police’s oppression of the locals. She speaks flirtation as a second language and doesn’t hesitate to unbutton her shirts to show off that naughty, naughty sweat-stained vest. Shocking! But when Honor most needs help, she will discover how deeply Martha’s courage runs and that doing “the done thing” is not necessarily doing the right thing. Local nanny Yusra (Ouidad Elma) is trusted with the British colonialists’ greatest treasure: their children. But it’s clear that her loyalties are deeply divided between her people’s yearning for independence and their British oppressors’ cruelty and occasional torture of local people. Forced to choose between the destruction of her own family and one of her master’s family, what should she choose? 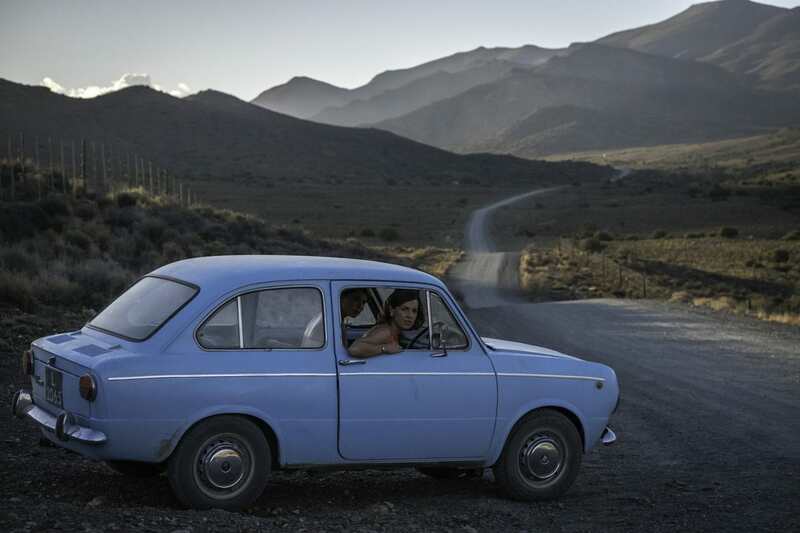 The Last Post was shot in Cape Town, South Africa. “In looking for a match for Aden, we knew we needed coast, mountains and desert but with a colonial influence in terms of architecture. Cape Town doubled perfectly for all these elements, so it was an easy decision to base ourselves there. 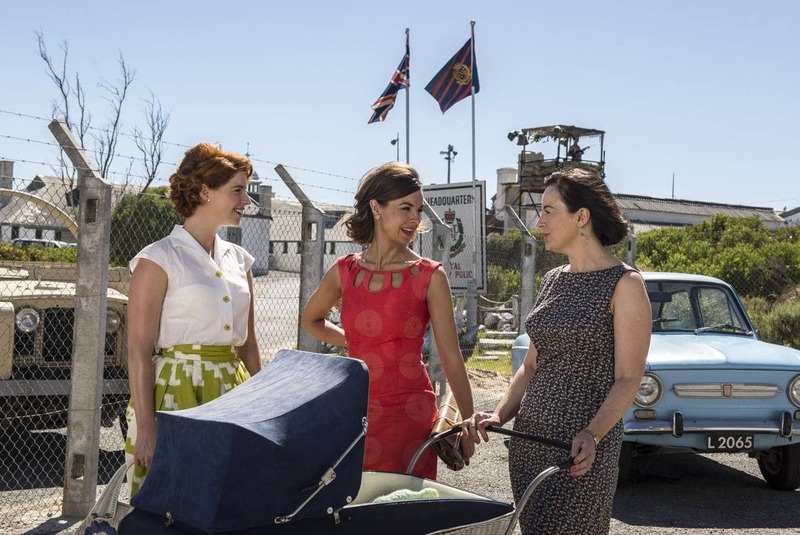 Finding a disused British naval base that overlooked Simon’s Town bay enabled us to give our drama the kind of scale it is normally difficult to achieve on a television shoot,” says executive producer Margery Bone.